Our armed forces ducks are dressed to impress and ready to serve. Designed to honour and remember service men and women, these make the perfect gift for loved ones in these professions. 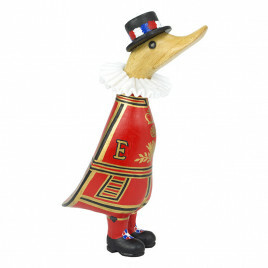 With their unique characters and quirky presence, our armed forces ducks are guaranteed to raise a smile. Give yours an extra personal touch by adding a message or choosing its name.